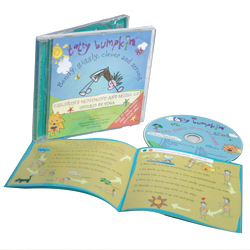 Bendy, giggly, clever and strong... Bring Tatty Bumpkin and her animal friends alive with this 23 track CD and 48pp booklet. With full instructions and tips for getting the most from the CD, you can practise Butterfly, Frog, Hello to the sun and more. Unleash your inner child too!